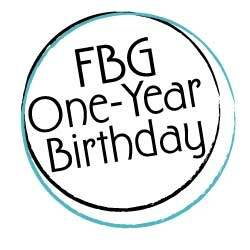 Just in case you were sleeping last week (and because of the holiday), we thought we’d remind you that you have just a couple more days to enter to win a prize in our FBG birthday extravaganza. We’ve got tons of awesome gifts for you guys, from gym bags to shoes to entire outfits. Go back and check out all of the possibilities, all guaranteed to make your day and spice up your workouts. To enter, comment on the original post or email us at contact@fitbottomedgirls.com by this Friday, May 29 with why you want to win (U.S. residents only, please). If you’re emailing us, please note in the subject line which product you’re entering to win. Winners will be announced Monday, June 1, so stay tuned to see if you win!